Today I am re-posting a craft project idea, an Ornament How-to for the Christmas Season that was written by one of my dearest friends and fellow blogger. As I’ve mentioned before, Aimee is a Home-schooling Christian mother and she is full of great ideas for Christmas gifts and decor on a tight budget. The recipe included is not gluten free, but I will look for one that I can add to this later. The boys and I made salt dough ornaments again today; and things went much better. It has been very dry here, the humidity in the house dipping below 40%; so I have been boiling a stock pot of in the kitchen for hours at a time to try to combat the dry skin, static and other effects of low humidity like the struggles we have been having with out salt-dough (the bread I made over the weekend was pretty bad too). Today’s dough worked much better than the last 3 times I have made it this season, so maybe the boiling water helped the humidity in the kitchen enough? I’ll be doing it next time too, just in case it is the key. I started with the cup of salt and the 1.24 cups of HOT water and spent a good 3 or 4 minutes quickly stirring the mix to dissolve the salt as much as possible before the flour. The salt did not dissolve 100% of the way for me though. As I kneaded the dough I still had to add more water – but by bit – but I got DOUGH. I suspect in total it ended up being 1.5 cups of water or even a little more, but that last part I add so “little by little” I can’t be sure. This time the dough rolled out nicely too, such a pleasant change. I was able to get the dough rolled out thin, thinner than the other 2 batches we’ve made. (2 batches of “cookies” made, one attempt at dough thrown out). We work on flexible plastic cutting boards. I love them. They define a space for each person; especially the boys. 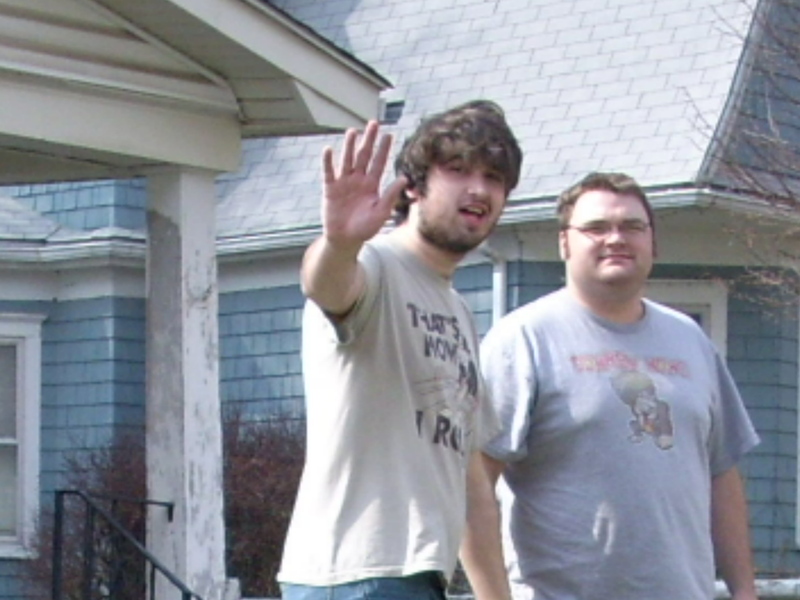 They also move an entire project if I need to slide the boys part (they do tend to drift into each other, must be my boys). Also if I need one of the boys to “hand me” their project, they can slid me their entire cutting “board”’ like when I help Big Brother roll the dough and he does the rest. The flexible cutting boards protect my counter from the cookie cutters and other tools; and they make clean up easier since I can simply pick up a good part of the work space and dump it in the sink. Salt dough can be a very messy project, even for adults alone, and any help in the clean up department is always welcome. The boys had a great time. Big Brother worked and worked on his dough, in his space. 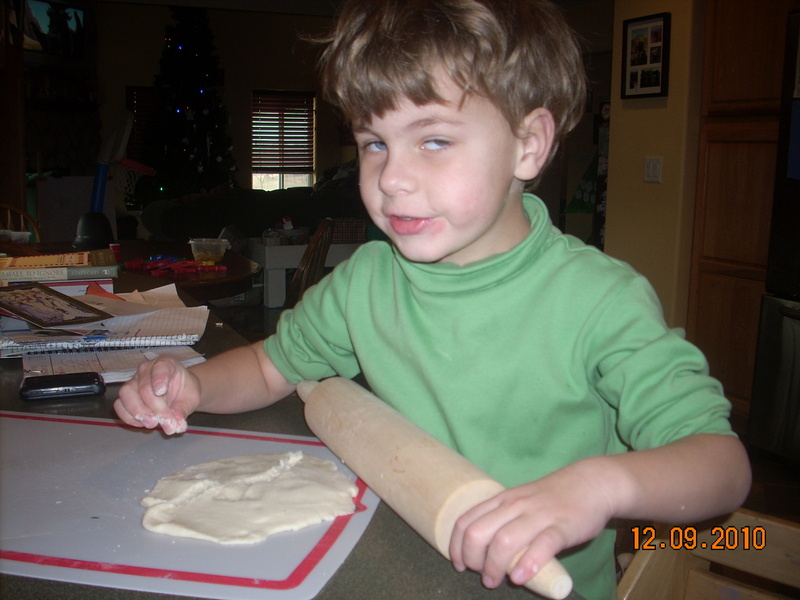 He really made an effort at rolling out the dough nicely, though he really struggles at it; rolling the rolling pin AND applying pressure at the same time is more than he can do, but he is only 5. 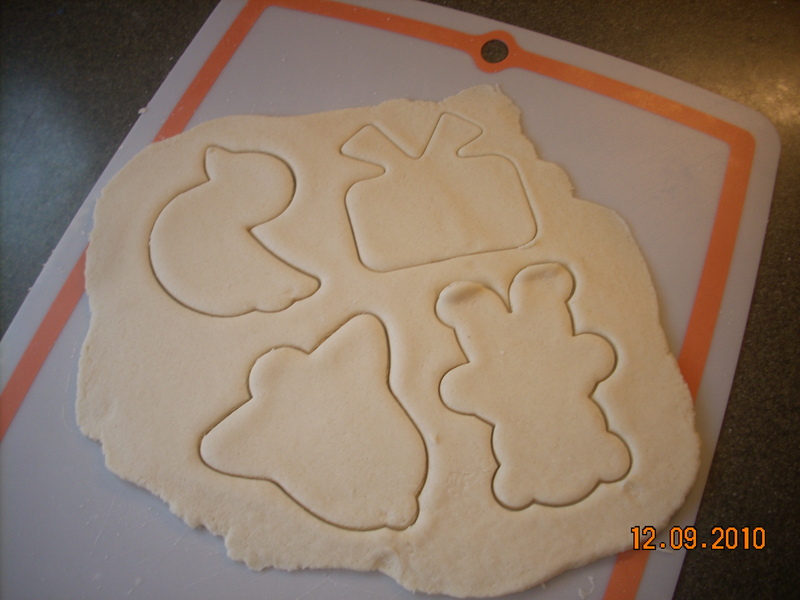 After Little Brother and I finished our’s I helped Big by rolling his dough out for him, so he could just use the cookie cutters and then transfer the shapes to his pan. However, he worked at least 25 minutes independently and really made a good effort, did not get frustrated or give up. I love to watch him. 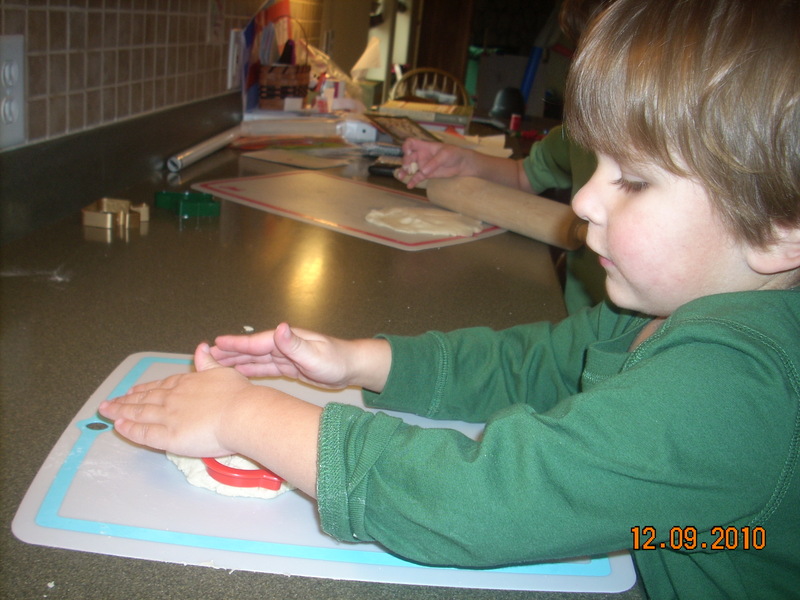 For Little Brother I roll the dough and let him place the cookie cutters, and then I help push them down “hard”. 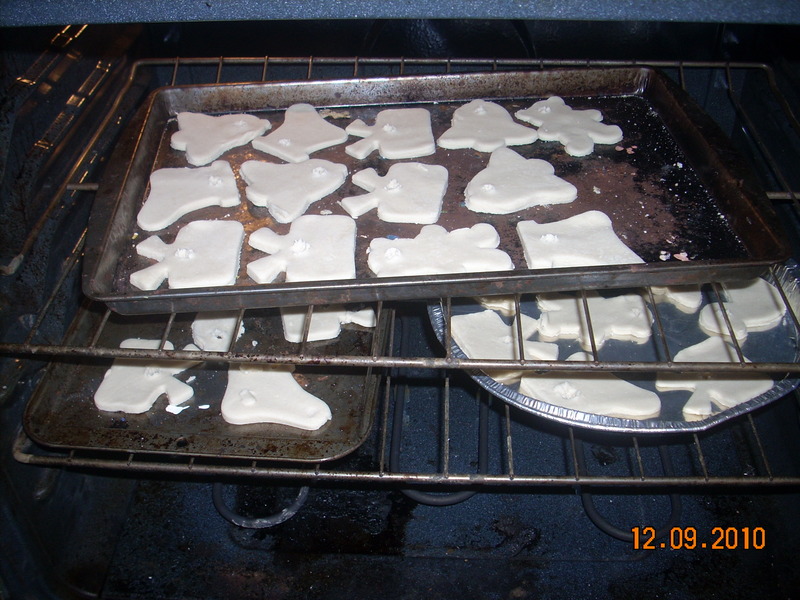 Little brother then pick s up the cookie cutters and I pull the extra dough off and transfer the shapes to the cookie pan. Momma puts the holes in the ornaments and puts them in the over. I set the oven at 170 (the lowest it goes) and just let them dry. After the first 30 minutes I flip them over and then I just leave them. Today we put 28 of them in the oven. there would be a shortage of craft supplies in the stores! 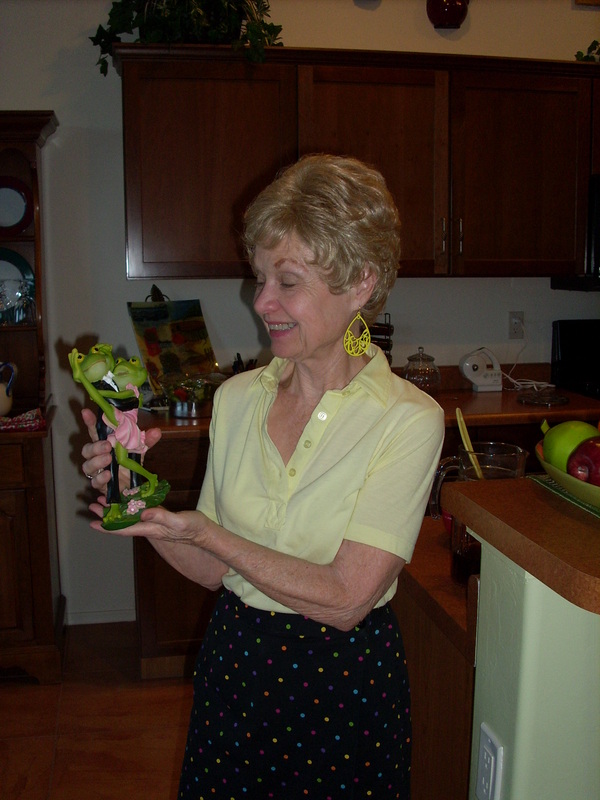 This is the blog of a conservative Christian home schooling Momma. Striving and struggling. Seeking and seeking and Knocking and knocking. You are welcome here, however 🙂 we do not apologize for who we are; and who we are striving to be (though we fail along the way). I pray God can use me in some small manner to encourage or challenge you, or simply to love you. I love comments!! I love comments! !